We'll teach you when and where you can find Faith, God Eater 3's chilled-out Merchant. As you cut a path through all manner of ferocious enemies in God Eater 3, you’ll also build up a healthy bank of money, too. While it’s no doubt great being rich, you’ll want somewhere to spend that cash, and that’s where the Merchant comes in. God Eater 3’s Merchant isn’t available from the beginning of the game, so you may find it helpful to learn when and where you’ll be able to meet her and lay down some of your earnings for new gear. In this guide we’ll teach you where to find the Merchant in God Eater 3. God Eater 3’s Merchant is a laid back lady named Faith, but you won’t be able to meet her until several hours into the main story. You’ll be approaching the right place once you’ve met the, er, amply buxom Hilda and departed from the first Port. There’s a bit of dialogue to go through here, but once you’re free to move about the ship you’ll have the chance to visit the Merchant too. Faith the Merchant can be reached from the Bridge if you take the upper level exit in the back left of the room. There’s a door here which will open in to the Lobby, inside which you’ll find the Merchant. She’s pretty recognizable thanks to her bright pink cat hoodie, and that fact that she’s lounging around on a chair. While she may look like she’s off on holiday, Faith will sell you all manner of items which can be sent directly to your Storage, or added to your inventory. Naturally you’ll need quite a bit of cash to buy much of it, so make sure you’re saving up while completing missions. Don’t forget that you can also sell unwanted items to Faith to clear up inventory space and make a bit of money on the side. 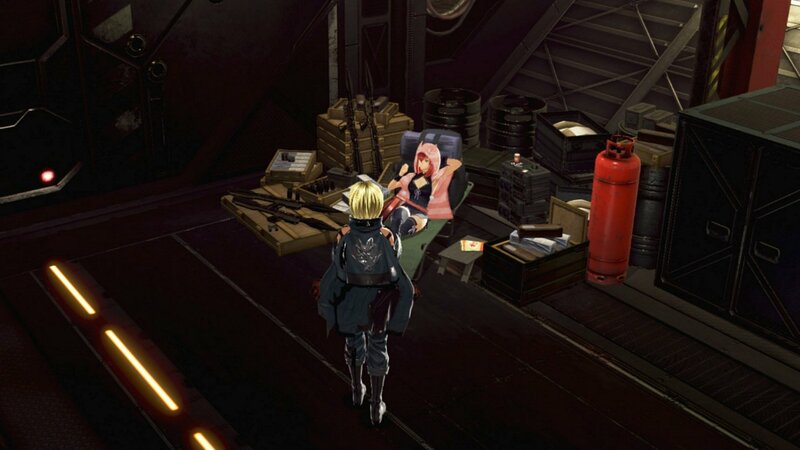 You now know where to find the Merchant in God Eater 3, but along the way you may have picked up the side mission to find Sho a first aid kit, so check our guide for that too. Beyond this, you’ll also want to learn how to Perfect Guard pretty soon so you’re ready for the tougher fights the game has to throw at you.